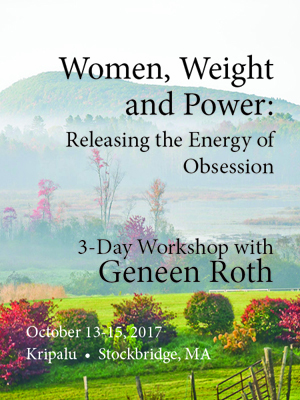 Join Geneen TONIGHT at 6 pm Pacific / 9 pm Eastern as she explores the Seven Steps to Freedom with Food. How they instantly cut through the suffering with food, weight, and the years of stories you have told yourself about doom, failure, and never having the life you want. And, the bonus is, they lead to weight loss. For alternative numbers, including international numbers, CLICK HERE.